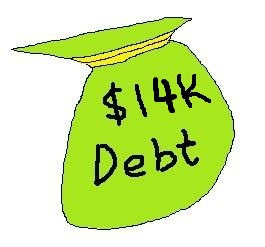 In Sep 11, I had recalculated my total debt which is totally from the mortgage loan of my flat to be $19K. The calculation is based on using the outstanding housing loan amount minus away my total family CPF OA amount. Today I have recalculated my total debt again, and it has reduced by another $5k. In my post on "What I hope to achieve in 20 years? ", I mentioned that I wanted to reduce my total debt to $0 within the next five years, Based on my conservative estimation, I think it is achievable before the end of next years. I will stop keeping track of my passive incomes from my CPF in my blog for next month onwards. Last but not least, wish all of you a MERRY CHRISTMAS!!! Seems like a strange way to compute debt. Partial Net Worth perhaps?